Want to look professional when collecting passengers and clients from airports, train stations, hotels, conferences, etc? Meet & Greet App gives you your own personal driver board that you can stylise, save, update and change at any time. With a range of professionally designed, pre-built driver sign templates, templates you can add your own brand to, that you can customise and change at any time to suit your passengers, this professional driver sign is sure to get you noticed when you're out and about. 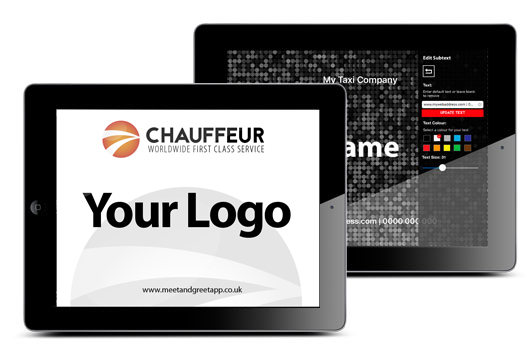 Choose from our range of driver sign templates in App. 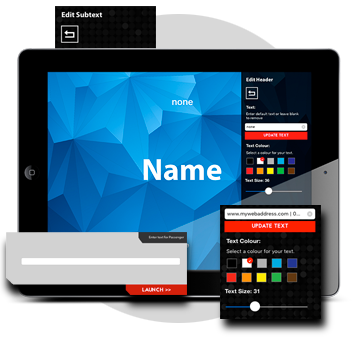 Add your own company details, change text size and colour, add images and logos straight from your iPad. You can save and change your driver signs so you can personalise these for passengers or groups.